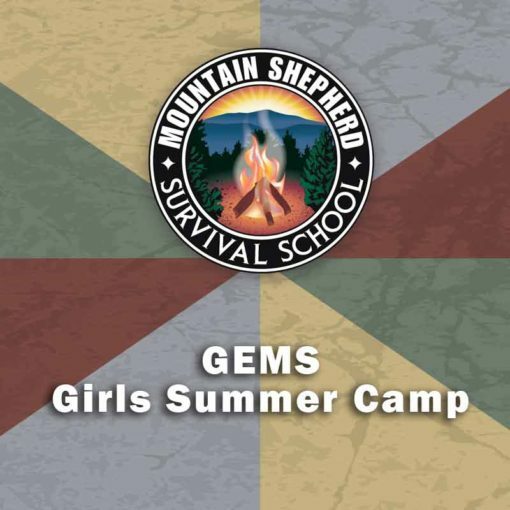 GEMS are Girls Empowered through exploration of seven survival priorities: positive mental attitude, first aid, shelter, fire, signaling, water, and food. During a five-day overnight experience, GEMS will learn the practical skills associated with each priority. Girls will also discover the parallels between each survival priority and their lives in the “front country.” GEMS will gain an appreciation for their natural and social surroundings through fun — and deceptively educational — activities such as night hikes, team-building games, and biodiversity studies. After five days, GEMS leave with confidence and compassion, knowing more about themselves and how they interpret and interact with their world. GEMS: Girls Empowered at Mountain Shepherd! A fun week finding courage, developing confidence with compassion! Sign up your middle school aged daughter today!